Irish rugby union coach and former player Geordan Murphy was a fullback or wing for the Irish national team and English club Leicester Tigers. 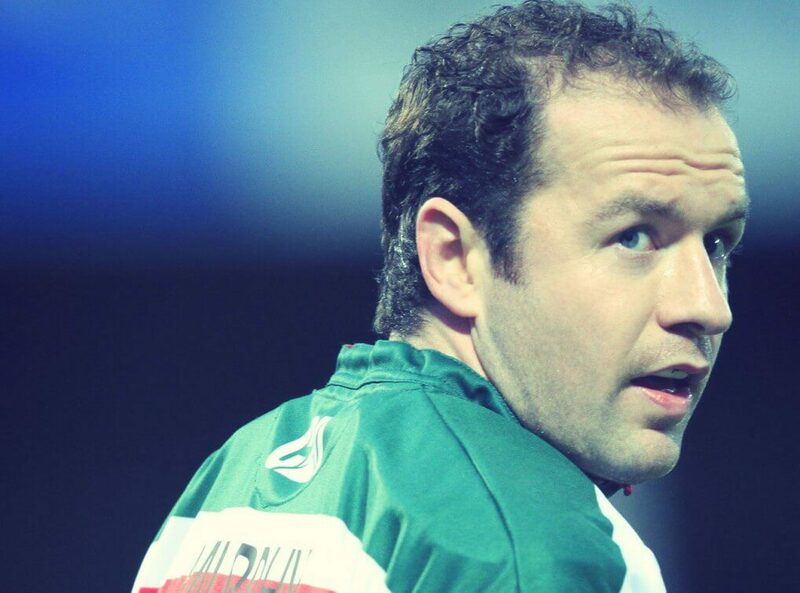 Since retiring from all forms of the game in 2013, Geordan has worked as a coach at Leicester Tigers. Geordan is from a sporting family, all six brothers and his sister played rugby union. He himself played Gaelic football at Minor (U18) level with Kildare GAA in the All-Ireland Minor Football Championship. It was in 1997 shortly before joining Leicester Tigers that Murphy won his first U18 cap for Ireland before slowly forcing his way into the Tigers’ first team squad. Murphy played in both of Leicester’s back-to-back Heineken Cup final wins in 2001 and 2002 but missed out on the 2033 World Cup having broken his leg in a warm up game against Scotland. Scoring a total of 657 points in 316 caps for Leicester, the only team he played for throughout his career. Murphy was a member of the victorious Ireland team that won the 2009 Six Nations Championship and Grand Slam and in May 2009 was selected to play for the Barbarians squad against England and Australia. He played twice for the Lions and once for the Barbarians as well as 74 times for his country, scoring 74 points in the process. As someone who has dedicated his life to professional sport, Geordan Murphy is well placed to offer insight to audiences of all descriptions, as well as tips for young players and much more.